I just received a copy of a new German book, Geschwister berühmter Menschen. This is a book about the siblings of famous people and features a chapter on Hardeen (of course!). I provided the publishers with a photo of the Brothers Houdini and received the book and a nice thank you note in return. But what I really love is how this arrived on Hardeen's birthday. Geschwister berühmter Menschen can be purchased at Amazon.com (U.S.), Amazon.co.uk (UK) and Amazon.de (Germany). Just a couple reminders of Houdini events on this Leap Day 2016. 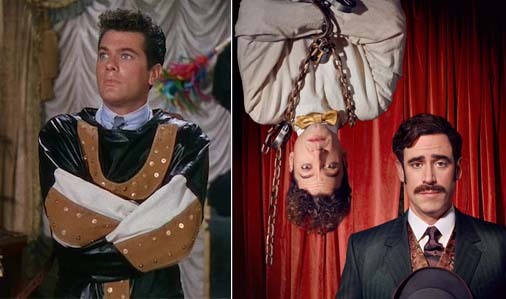 At 3:30 PM the classic Houdini (1953) with Tony Curtis and Janet Leigh will air on MOVIES! And tonight in the UK Houdini & Doyle will have a premiere screening at the Everyman Cinemas at 6:20 PM followed by a Q&A with the stars. 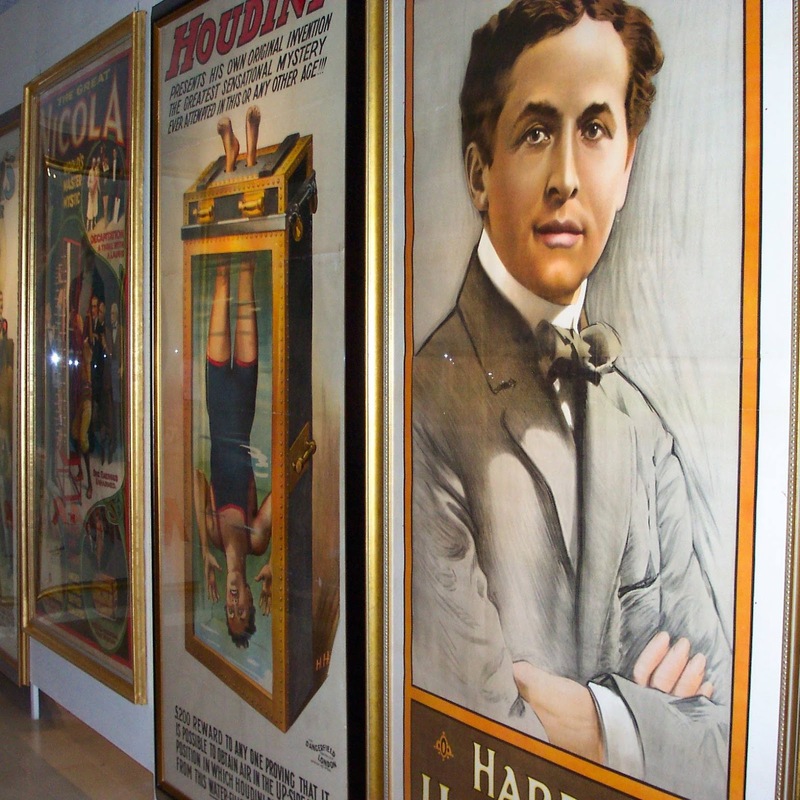 Today I'm excited to offer an exclusive first look at some choice items from Haversat & Ewing Galleries upcoming "Houdini's Birthday Auction" on March 23-24. This will be their largest auction to date with 250 items, of which 55 relate directly to Houdini or Bess or Hardeen. First up is a Hardeen scrapbook! Large, oversize 75 page personal scrapbook of Hardeen. Compiled by Hardeen himself from 1912-1914. 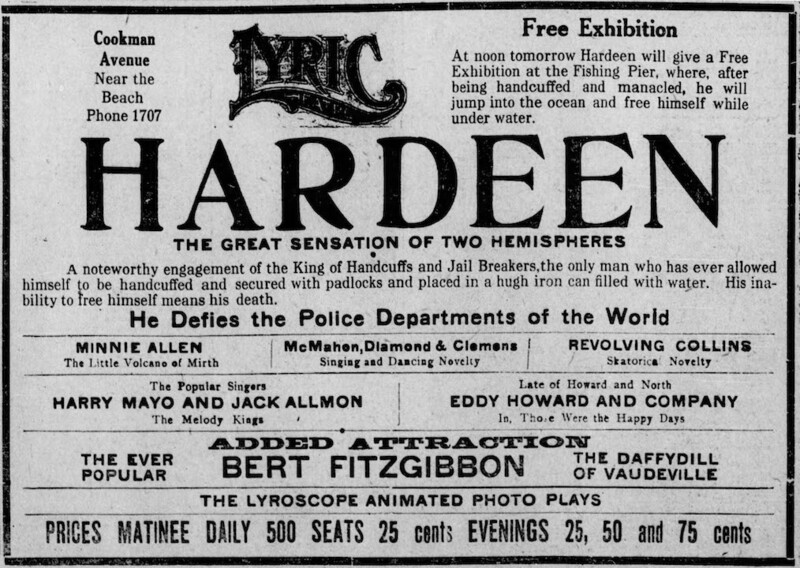 Contains newspaper clipping and advertisements for Hardeen's upcoming dates and favorable press. Nearly every page has handwritten annotations by Hardeen. 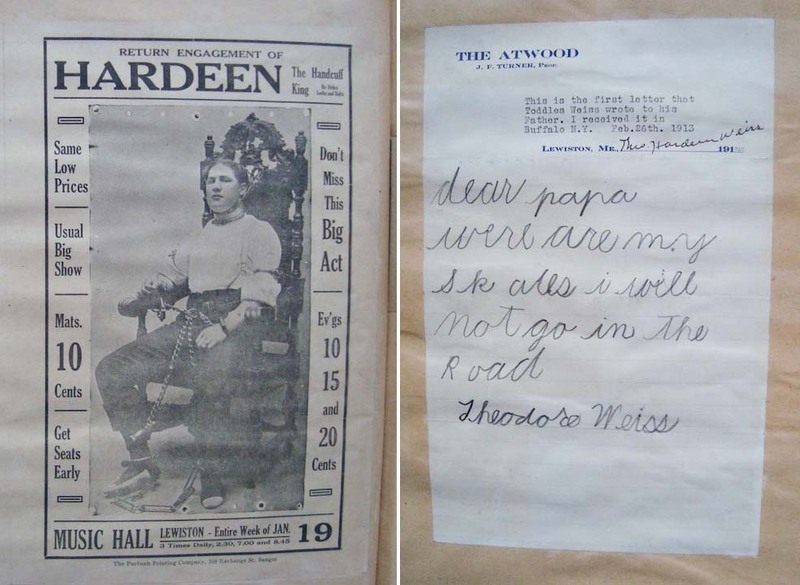 Includes a letter written by Hardeen's son " Dear Papa were (where) are my skates I will not go in the road, Theodore Weiss.". Hardeen types on the top of the page - This is the first letter that Toddles Weiss wrote to his Father. I received it in Buffalo, N.Y. Feb. 26th 1913. Signed Theo Hardeen Weiss. Measures 14.5" x 19". Detached front cover. A very historically important scrapbook. 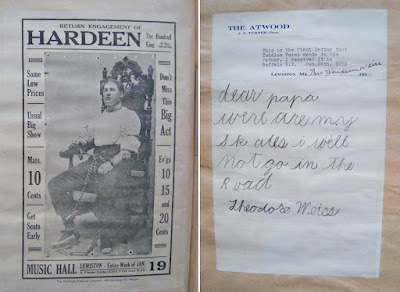 In 2011 two Hardeen scrapbooks appeared at auction and blew well past their auction estimates. I've not seen a Hardeen scrapbook come up for auction since then. This will be an exciting one to watch. Outstanding, original first-generation Houdini photo from photographer's collection. 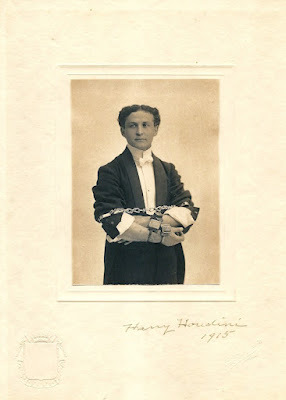 Image of a manacled Houdini taken by the Siegel Studio in Boston. The photo was developed on Baryta layer (fiber) photographic paper, giving the image a matte appearance. 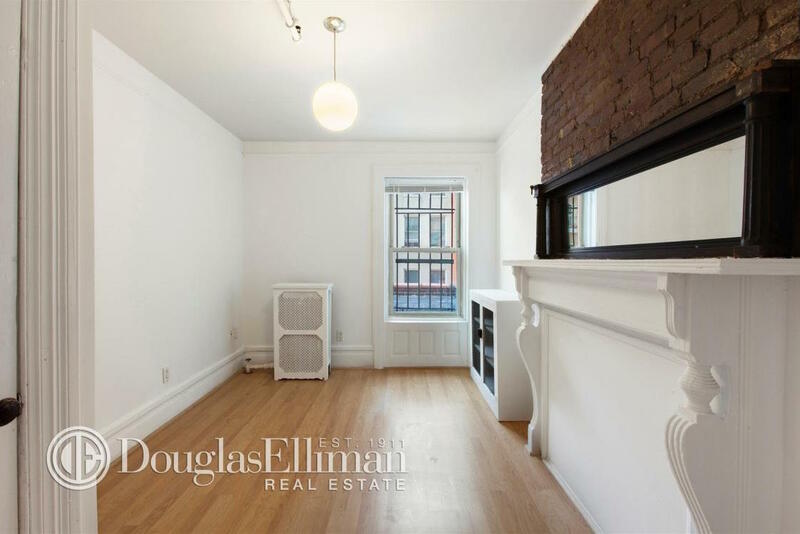 However, the image is highly detailed and crisp. Photo can be lifted to reveal a number 6, an indication for the photographer and client (Houdini) of what image was to be used or ordered. 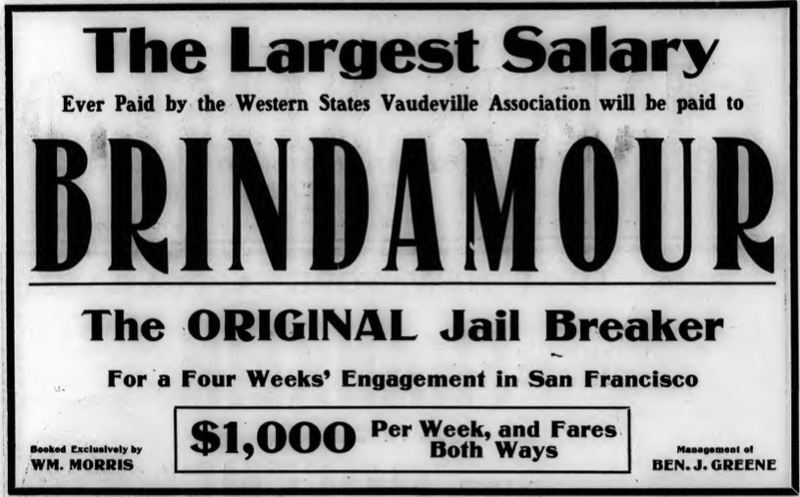 Harry Houdini's name is written below and the date of 1915. 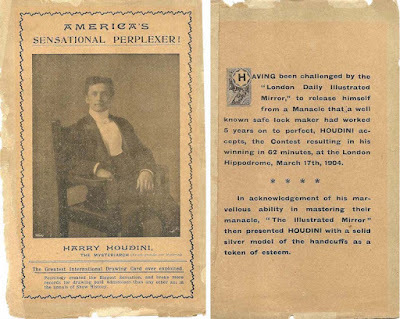 The image is from an earlier time in Houdini's career. One often sees the variant of this image taken at the same studio of Houdini looking down at his arms. Very rare. "It gave me great pleasure to know your safe arrival and also to learn that you will do me the honor of a visit on or about July the 1st. and don't come with the idea that you are going to get away in a few hours. Come prepared to spend a few days!" Another lot contains over 10 letters written by Houdini to Will Goldston (from Goldston's scrapbook). 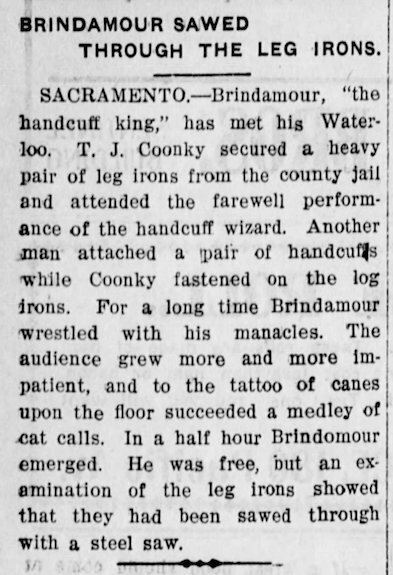 One letter sent from Germany in 1912 contains a nice mention of The Water Torture Cell: "The new stunt I am doing is a marvelous success, and without doubt the greatest spectacular thing ever witnessed on any stage." 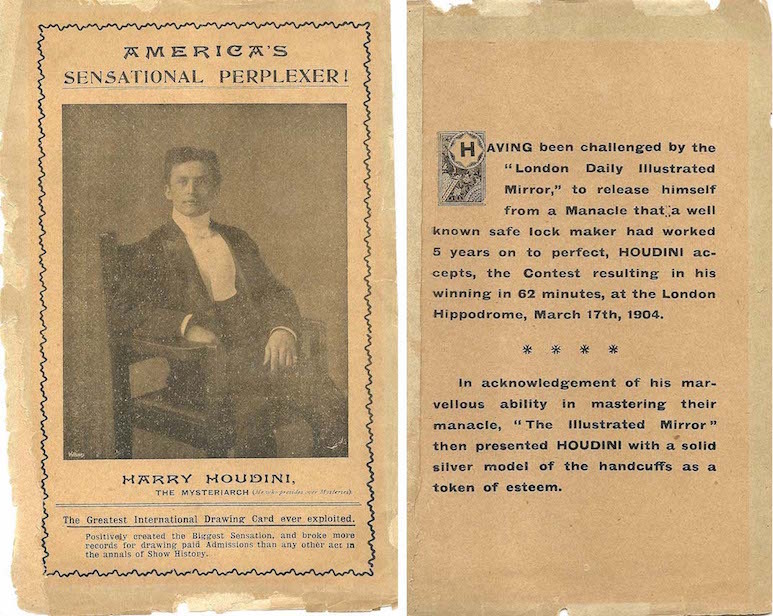 Finally, one of Houdini's rare early pitchbooks with a page devoted to the Mirror Challenge will be up for bid. And this is just a small taste of what's to come. All lots will be available for view online in early March. This auction will also include a full-color printed catalog. The auction starts at 11:00 AM on March 23rd and ends at 5:00 p.m. March 24th. UPDATE: The original photograph of Houdini in shackles (pictured at the top of this post) sold for $7,371. The Goldston letters lot fetched $10,530. The Hardeen scrapbook sold for $2,457. 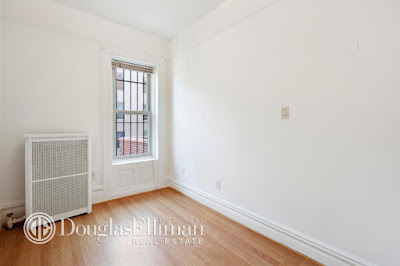 The Davenport letter took $725.40. More here. We finally have a premiere date for the new Houdini & Doyle TV series! The pilot episode will air simultaneously on FOX in the U.S. and Global TV in Canada on Monday, May 2 at 9:00 PM ET/PT. The 10 episode series will then air each Monday at the same time. Houdini & Doyle will also air on ITV Encore in the UK. Now word yet on whether ITV will premiere the series on May 2, but the pilot will have a special ITV screening in London on February 29, so it's possible the UK might get the series early. 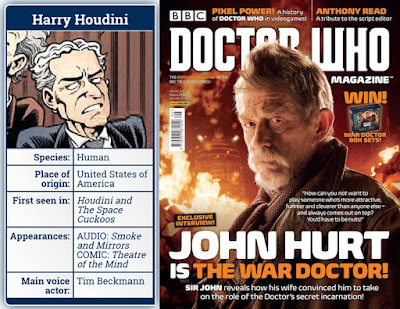 UPDATE: Viewers in Canada will be interested in this: 'Houdini & Doyle: World of Wonders' original digital series announced. 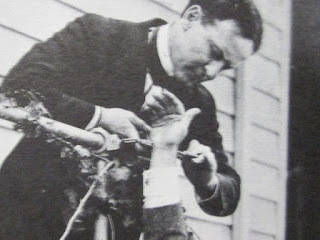 In July of 1913, Houdini departed New York for a Scandinavian tour that would see him perform for the first time before the King of Sweden in Stockholm. After bidding an extended goodbye to his mother at the dock -- and promising to bring her back a pair of woolen slippers, size six -- he set sail on the German ocean liner Kronprinzessin Cecilie. 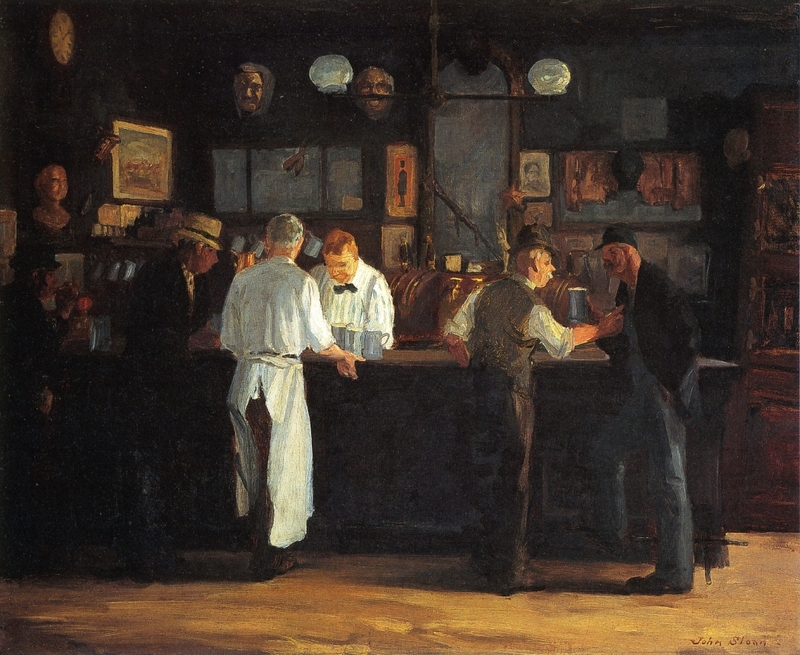 His brother Hardeen stayed closer to home, accepting an engagement in Asbury Park, New Jersey. Thinking his mother would enjoy a vacation by the sea, Hardeen brought along Cecilia Weiss. Asbury Park is a seaside community located on New Jersey's central coast. Developed in 1871 as a resort, the city features a mile-and-a-quarter stretch of oceanfront. In its heyday, as many as 600,000 people a year vacationed in Asbury Park. In 1912, The New York Times estimated that the summer population could alone reach 200,000. 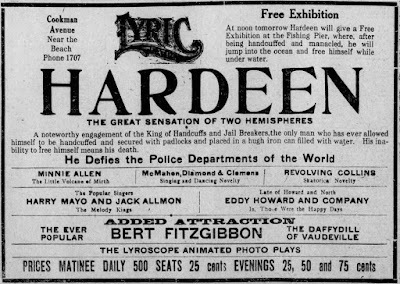 Opening day ad for Hardeen at the Lyric, July 14, 1913. 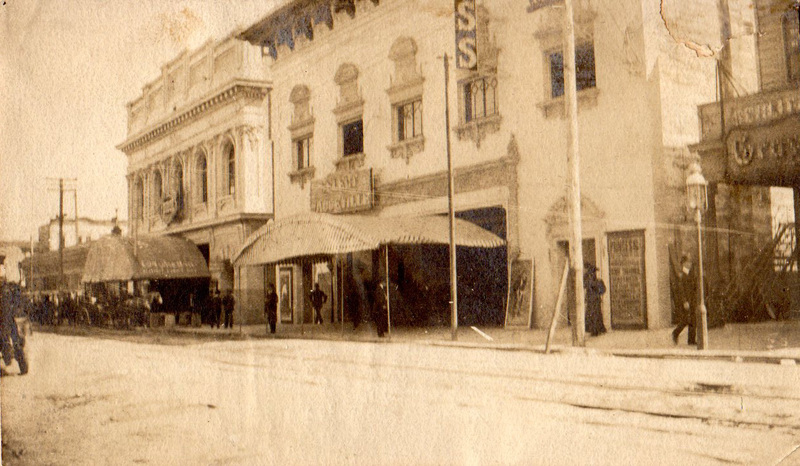 Hardeen opened at the year-old Lyric Theater on July 14, 1913. 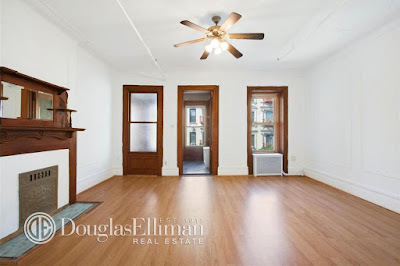 The Lyric was located at 214 Cookman Avenue. 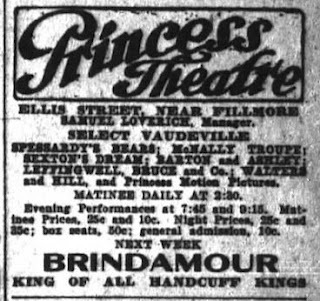 It featured vaudeville and even early movies -- "The Lyroscope Animated Photo Plays." Here Hardeen did his usual act; escaping a straitjacket, accepting challenges, and closing with the Milk Can. On July 15, he leapt manacled from the Asbury Park Fishing Pier. 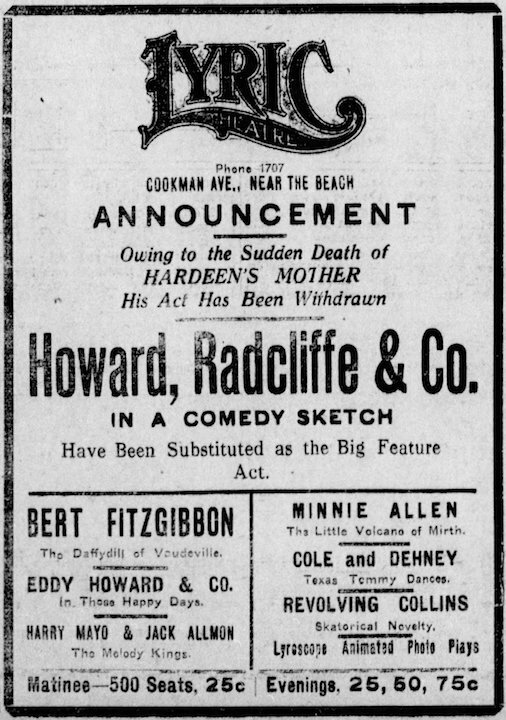 Special announcement on July 17, 1913. Upon their arrival in Asbury Park, Cecilia Weiss had suffered a stroke that left part of her body paralyzed. She was tended to in Room 18 at the Imperial Hotel by Dr. James Ackerman, who put her on the critical list. 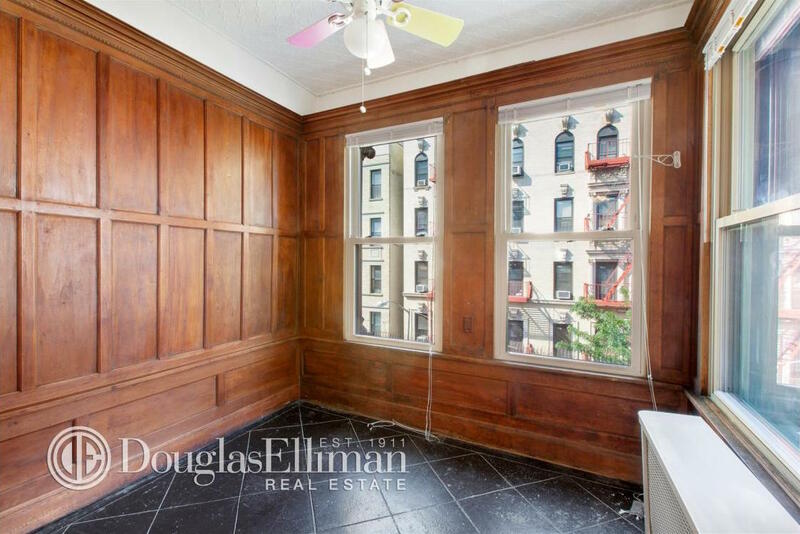 Hardeen phoned his brother Leopold and sister Gladys who quickly arrived from New York. After escaping from the Tusting packing crate at the Lyric, Hardeen rushed back to Cecilia's bedside. 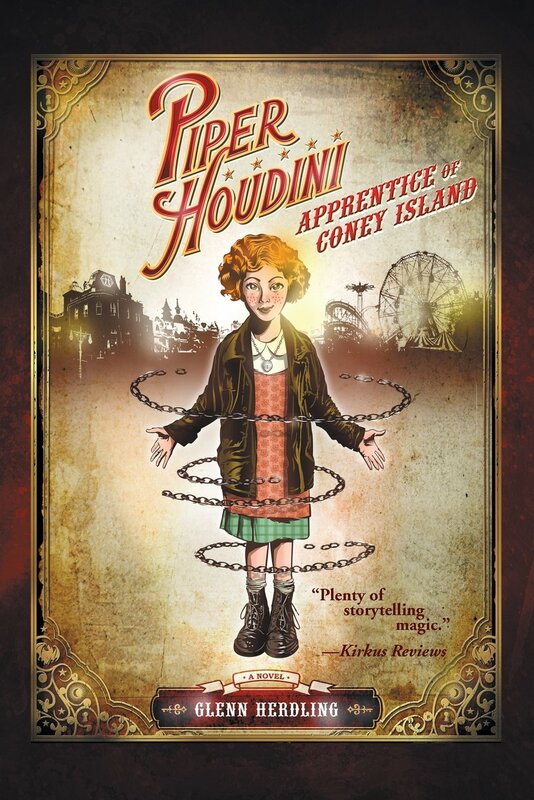 She struggled to communicate a message for Houdini, but was unable to speak. She died at 12:15 AM on July 17. 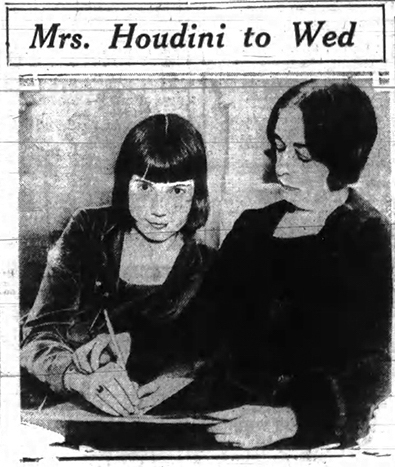 Hardeen sent a cable to Houdini notifying him of their mother's death. Thinking it was simply a welcoming message from "the folks", he delayed opening it. 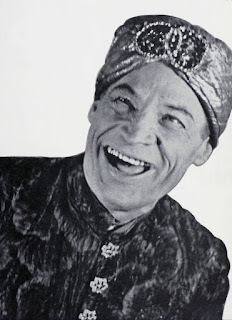 After performing his Water Torture Cell at the Circus Beketow in Copenhagen before an audience that included the royal princes (Houdini did his act in Danish), he finally read Hardeen's cable at a press reception and fell unconscious to the floor. Houdini and Bess quickly reboarded the Kronprinzessin Cecilie for its return voyage to New York, leaving Jim Collins behind to deal with the show. In Denmark, breaking a contract was a serious offense, and Collins was jailed until the situation was explained to the theater manager. Following her death, it was reported that Mrs. Weiss has been taken by "Undertaker Burtis" on the 1:10 train to Brooklyn. The funeral had been planned for the following Sunday, but was delayed until Houdini returned. 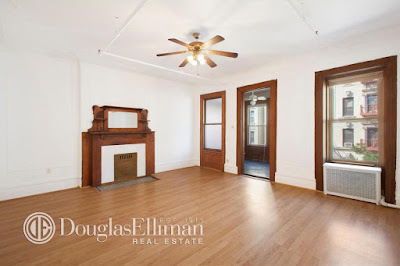 Houdini arrived several days later to find his mother laid out in the parlor of 278. He had brought along the woolen slippers she asked for and placed them in her casket. 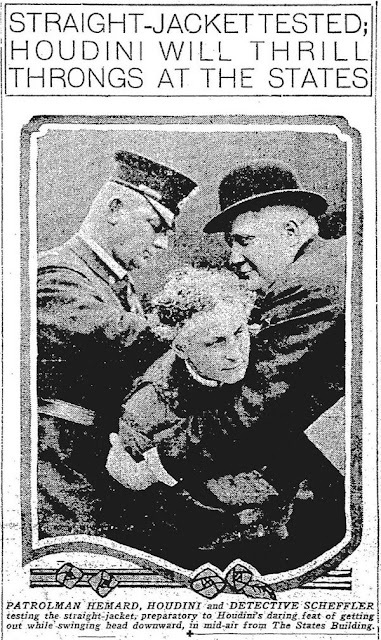 Cecilia's death devastated Houdini. 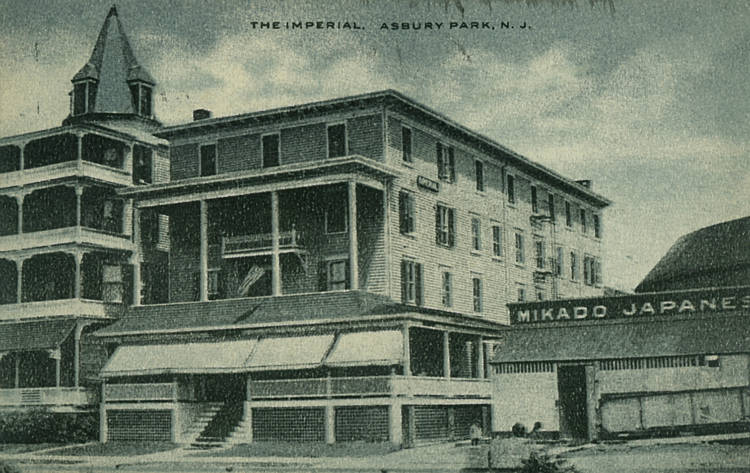 On the one year anniversary, Leopold drove Houdini and Hardeen back to Asbury Park to photograph Room 18 at the Imperial Hotel (what happened to those photos, I wonder?). That night Houdini wrote in his diary: "Things have never been the same, since, and I know that they can never be the same again." The Imperial Hotel is, presumably, long gone (at least I couldn't find any information about it, past or present, online). 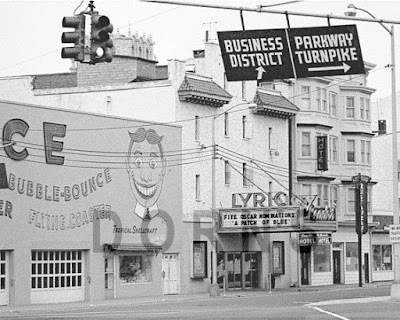 But the Lyric Theater remained a fixture on Cookman Avenue until the 1960s. Renamed Park Cinema, it became a pornographic movie theater in the 1970s and '80s. It also appeared in the Robert DeNiro film City by the Sea (2002) and in The Sopranos. 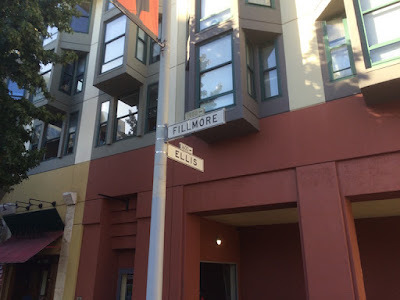 The building was finally demolished along with the rest of the block in 2005. Today the site of Hardeen's Lyric Theater is an empty lot. 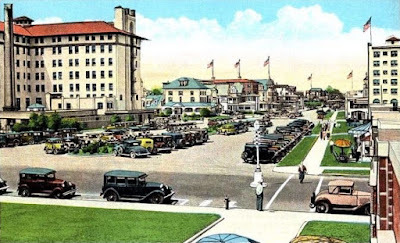 For more on Asbury Park, check out A Seaside Ghost Town Trying to Rise Again by Christopher Clay. Thanks to Ron Armstrong for providing additional details. 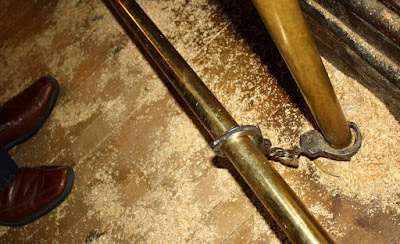 Here's an update from the great Fred Pitella on my recent post about the "Houdini handcuffs" in McSorley's Old Ale House in New York (Were these handcuffs left behind by Houdini?). 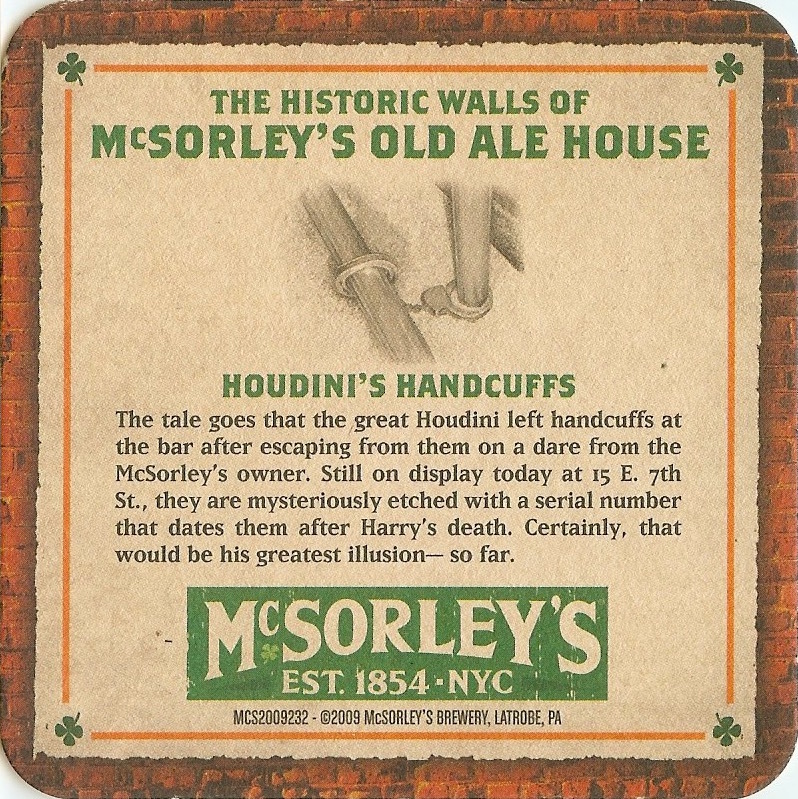 Fred sent me this souvenir coaster that McSorley's produced a few years ago that sheds some light on the subject. So while the story of Houdini visiting McSorley's might still be true, it looks like these are not the original handcuffs that Houdini affixed to the bar himself. According to Fred, one of the older bartenders told him they've had to replace the handcuffs because people took them for souvenirs. 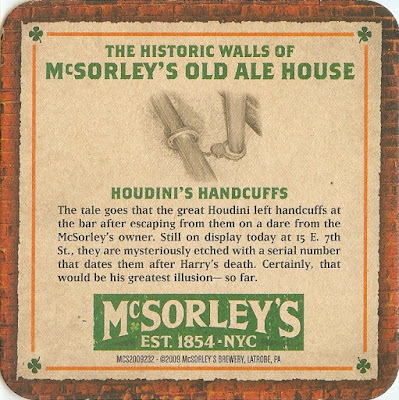 But I still think any Houdini tour of New York requires and stop and a pint at McSorley's. In fact, just thinking about it is making me thirsty! Thanks to Fred Pitella. 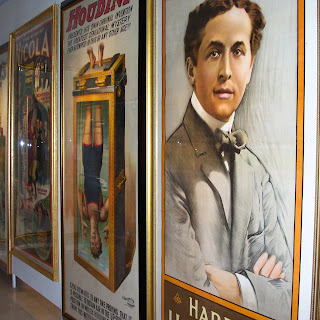 Check out Fred's site: Houdini & Escapes Museum. Also check out this recent article about McSorley's anniversary: New York’s oldest Irish pub celebrates 162 years. 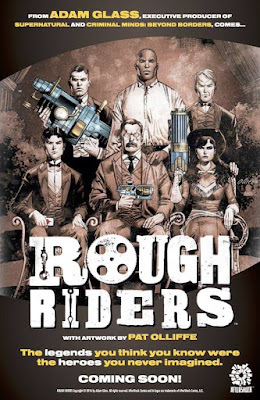 Last month I shared news of a new graphic novel series called ROUGH RIDERS (issue #1 is due out April 6) that has Houdini teaming with Teddy Roosevelt, Annie Oakley, Jack Johnson, Thomas Edison and Monk Eastman. Now here's a look at the cover for issue #2 (due out May 4) with a terrific illustration of Houdini underwater in chains. 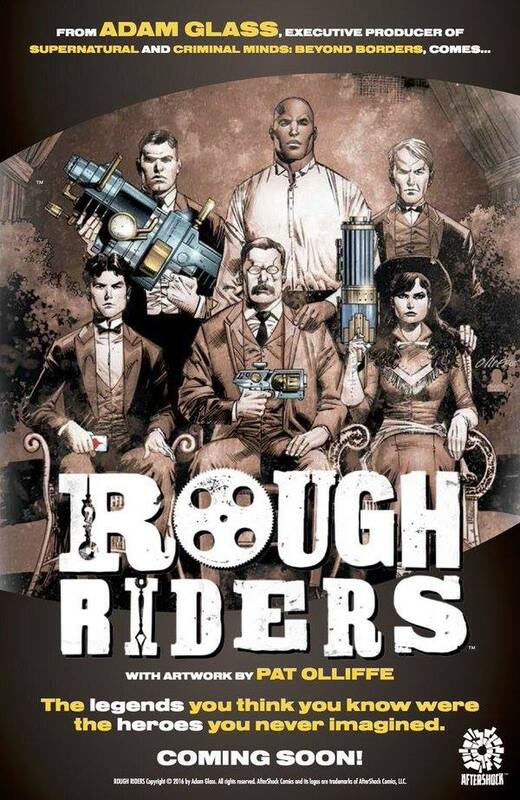 The year is 1898 and Teddy Roosevelt has put together an incongruous band of dissidents to battle a mysterious force in Cuba. Under the guise of the Spanish American War, Teddy and his “Rough Riders” will try to discover who is truly behind the sinking of the USS MAINE. But as they touch down on Cuban soil, they’ll soon discover that the biggest battle, they must fight is the one amongst each other. 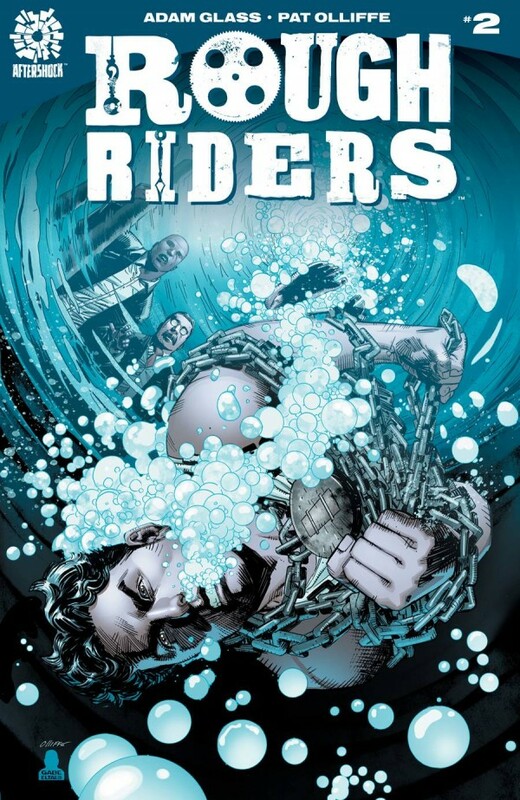 ROUGH RIDRES is the work of writer Adam Glass (executive producer of Supernatural and Criminal Minds: Beyond Borders) and artist Pat Olliffe. The book is released by Aftershock Comics. 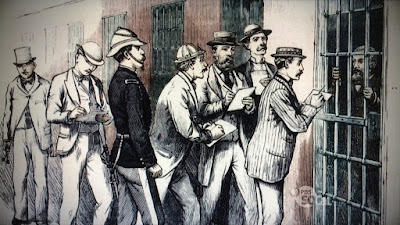 The other night I watched the excellent American Experience documentary, Murder of a President, about President James Garfield and his assassination just 200 days into office in 1881. I really knew nothing about Garfield and the documentary was extremely enlightening. 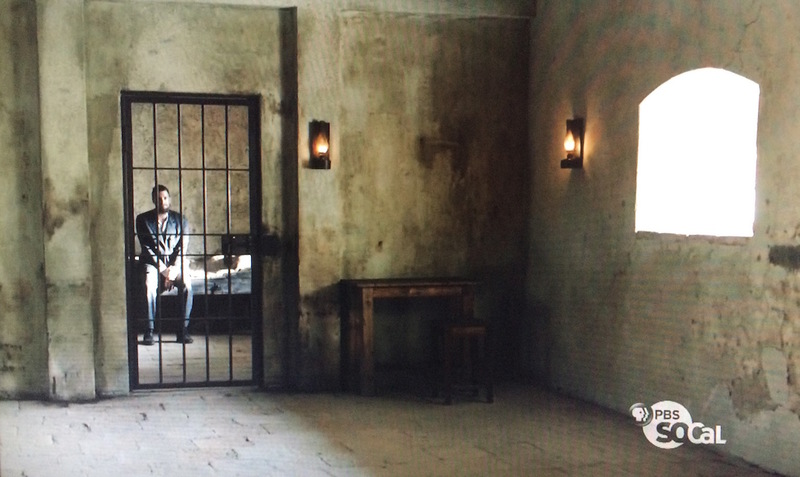 The documentary also covered the troubled life of the assassin, Charles Guiteau, and I sat up when this reenactment of Guiteau in his prison cell came on screen. Why should this be of interest to Houdini buffs? 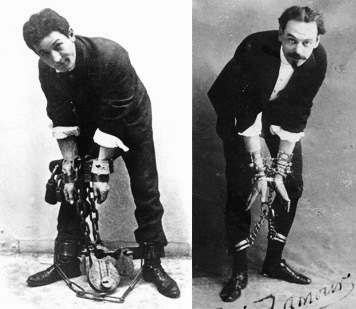 In 1906, Houdini famously escaped from the United States Jail in Washington, D.C. 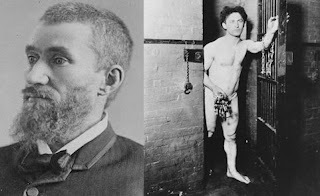 The "Murderers Row" cell he was confined in was the same cell that had held Guiteau while he awaited execution. The United States Jail is long gone and I've never seen a photo of the Guiteau cell, so it was fun to see it in this reenactment, although I have no idea how accurate this is. You can watch the American Experience Murder of a President online at PBS.org. Here are a few more links to enjoy on this Presidents Day. UPDATE: Here are some other, potentially more accurate depictions of the Guiteau cell (thanks to Perry Reed). Handcuff expert Joe Fox shares another Houdini-Guiteau association. 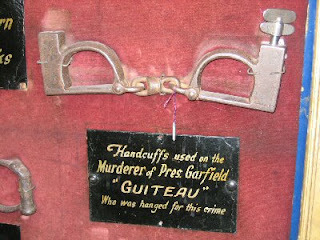 The photo below was taken by Mark Lyons at the 2004 Great Houdini Auction in Las Vegas and show "Guiteau" cuffs in a Houdini display case (now in the David Copperfield collection). 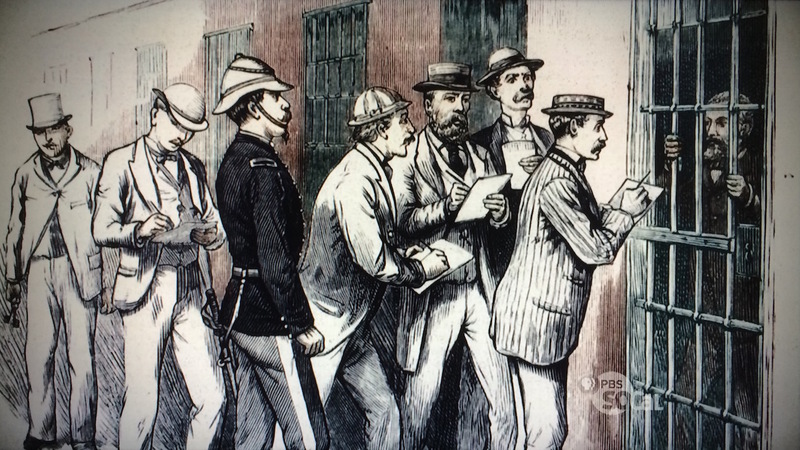 Tags: [History], Crime, Documentaries, Handcuffs, Holidays, Jail breaks, Politics, Television, Washington D.C. 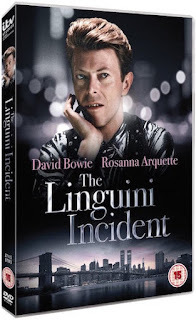 The 1991 film The Linguini Incident starring David Bowie and Rosanna Arquette has been reissued on DVD in the UK. In the movie, Arquette plays an aspiring magician and escape artist who collects Houdini artifacts and comes into possession of "Madame Houdini's" wedding ring. 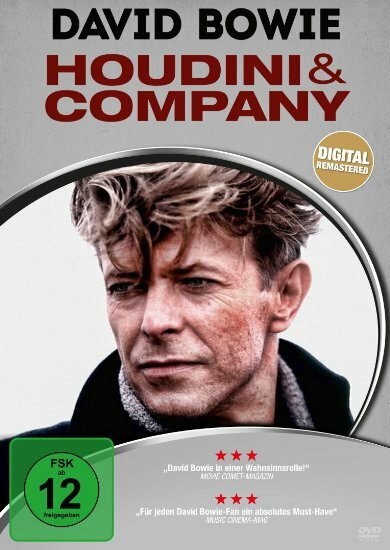 While waiting for her big break, she works as a waitress at a Manhattan restaurant where Bowie tries to marry her so he can get his green card. The film is loaded with Houdini references and escapes. 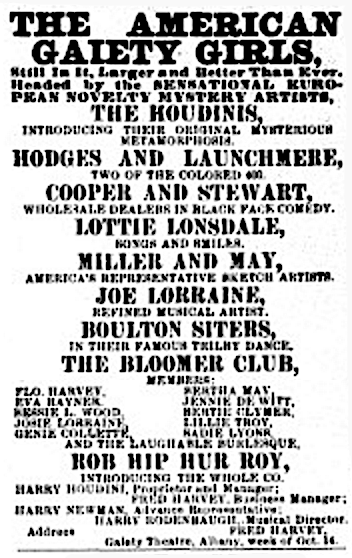 In some territories it was titled Houdini & Company. 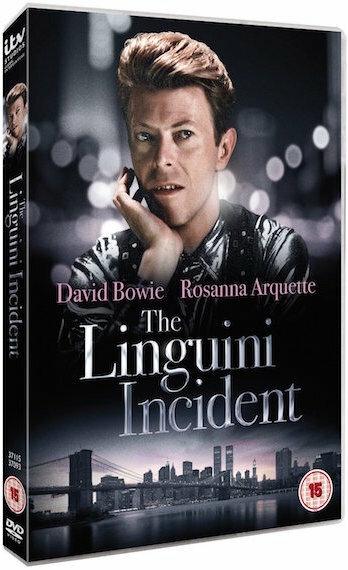 You can purchase The Linguini Incident at Amazon.co.uk. No word on whether there will be a new U.S. reissue. In the wild world of independant film financing, posters will be created for films that don't yet exist. This is so producers can sell the concept for the film and use foreign pre-sales to fund that actual making of the movie. Below is one of those posters for a Houdini movie called The Dead of Night. This appeared in the May 2, 1990 issue of Variety showcasing movies being shopped at the Cannes Film Festival that year. 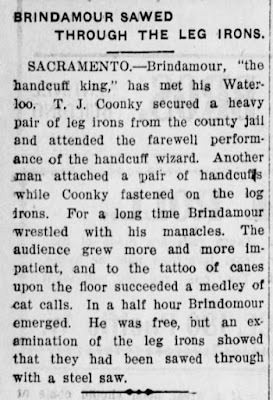 As you can see, the idea here was to team Houdini and Aleister Crowley, the English occultist who was sometimes called "the wickedest man in the world." 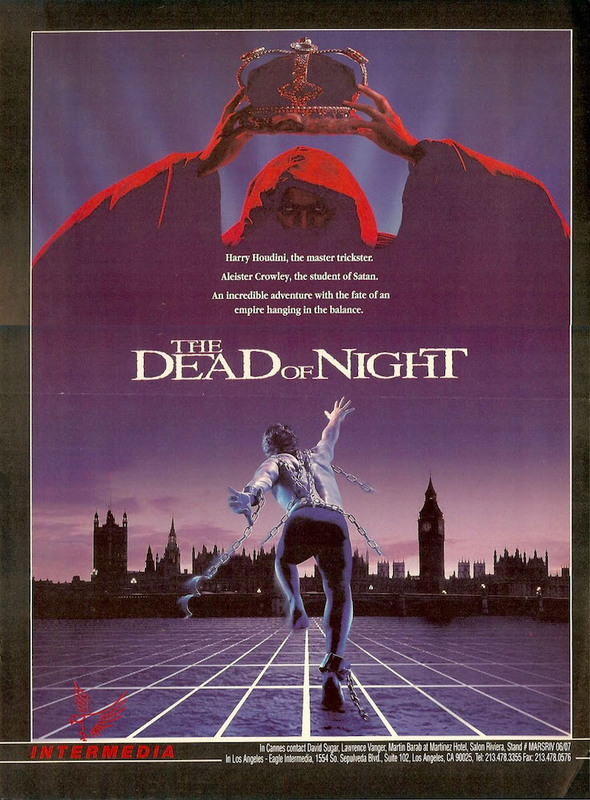 As far as I know, The Dead of Night never made it beyond this poster. Hey, I kinda like this idea, and I really like this poster. Is it too late to invest? Probably. 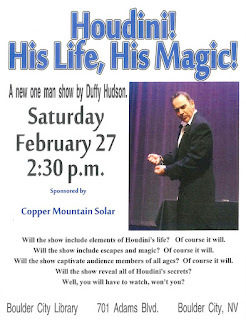 This week I will share an untold story about Houdini and George Brindamour uncovered by magic historian Gary Hunt. 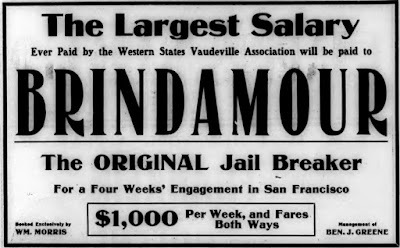 Brindamour was a rival "Handcuff King" who taunted Houdini from his earliest days of success in the U.S. What happened when, thanks to an earthquake, the two were forced to share the same street? It's "Showdown in San Francisco"... and it might not end how you think. 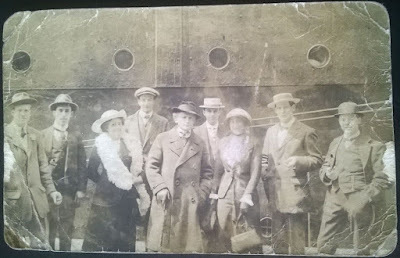 A remarkable photo postcard showing a dapper Houdini posing with members of the Associated Wizards of the South (AWS) sold on eBay today for $470.93. Below is the photo and a description from the seller. 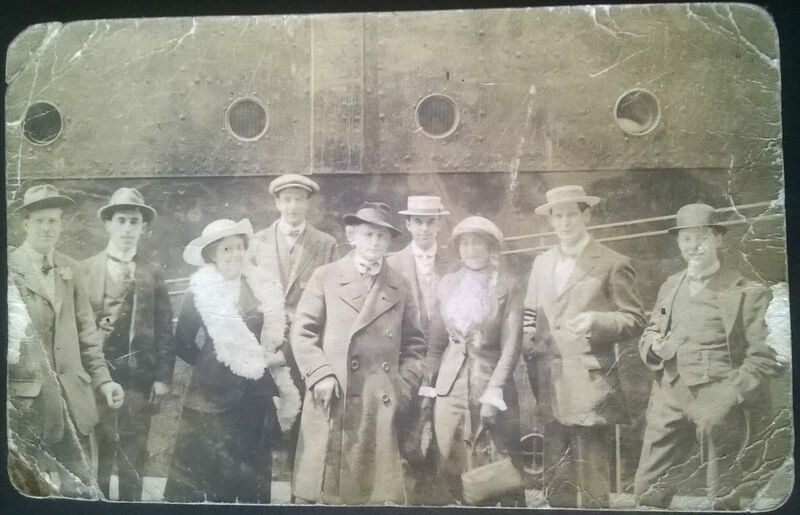 This is an exceptionally rare RPPC (real photo postcard) of Harry and Bessie Houdini with the AWS (Associated Wizards of the South) taken on Southampton Docks prior to Harry Houdini's departure to New York on 21st May 1913. 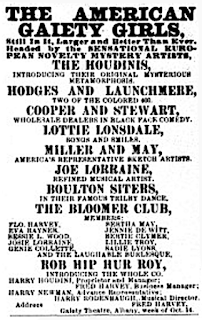 The AWS are the 4th oldest magical society in the world and Harry Houdini became a member during a 5 night string of shows at the Southampton Hippodrome in 1911. Famously the day after this first meeting with the AWS Harry Houdini performed his Water Torture Cell trick for the very first time to a rumoured audience of 1 in Southampton. Houdini wrote articles and attended further meetings with the group. During one meeting the AWS chairman, Professor Woodley challenged the star to a display of contact mind-reading. 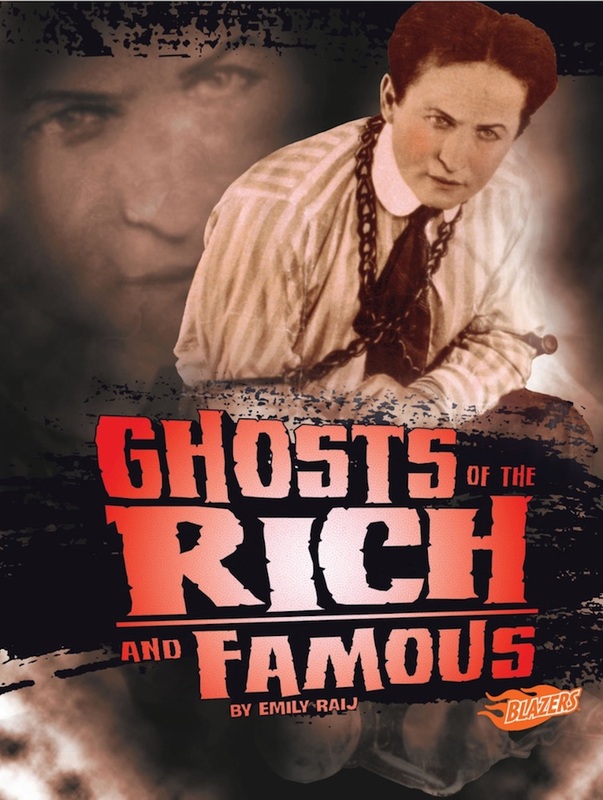 Houdini, boastful of his own expertise in this area, insisted on being the person to hide the object for Woodley to find, which he did, over and over leaving Houdini unable to discover the secret to the trick - I know, as I'm his great grandson but its a family secret. Professor Woodley can be seen behind Houdini's left shoulder (the tall chap in a cap). The famed early magician Spitari is also in the postcard, second on the left. These postcards were available for AWS members only and no more then 10 were ever produced. I believe this may be the only existing copy. It has been lent out by the family on a few occasions over the years. 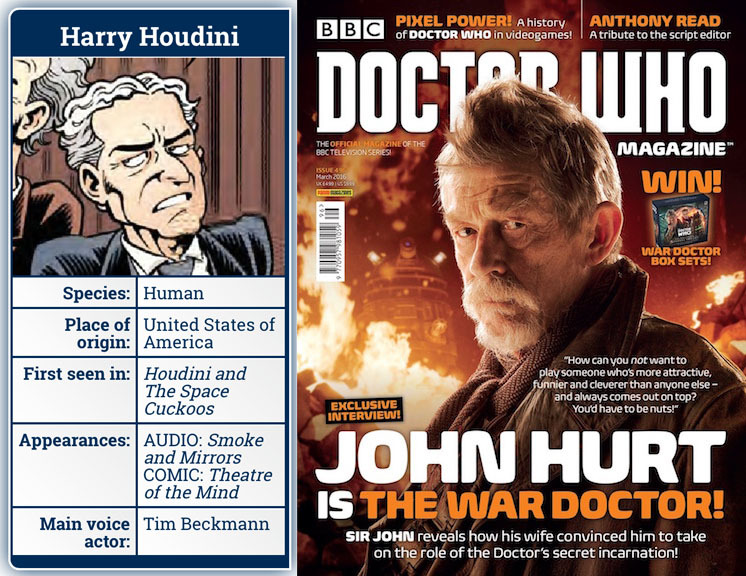 Channel 4 productions, The Magic Circle and Magical World have all borrowed the postcard from the family in the past. A truly rare piece from an early magical society, original and direct from the family. 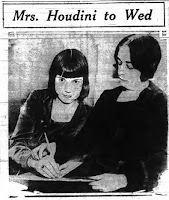 The only correction I'd make is I don't believe that's Bess standing beside Houdini. 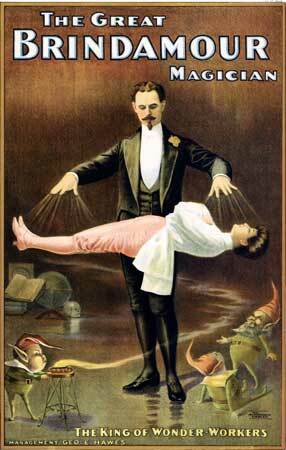 Still, a fantastic never-before-seen image of Houdini with a wonderful story to go with it. Congrats to the winner. Last year it was reported that Norm Nielsen's collection of almost 2000 magic posters was for sale. At the time, it was said the collection would be sold only as an entire lot. But now word is the collection will be auctioned poster by poster by Potter & Potter in June 2016. 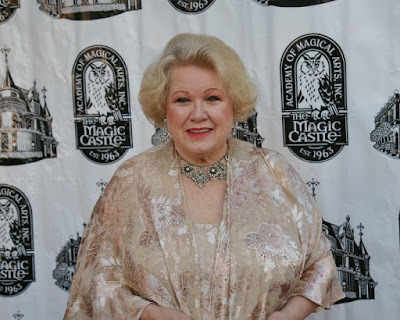 Starting this Monday, February 8, Lupe Nielsen will post on the Nielsen Magic Facebook page "a poster a day" until the auction. She will also share information about the poster and the story behind how it came to be part of the Nielsen Collection. 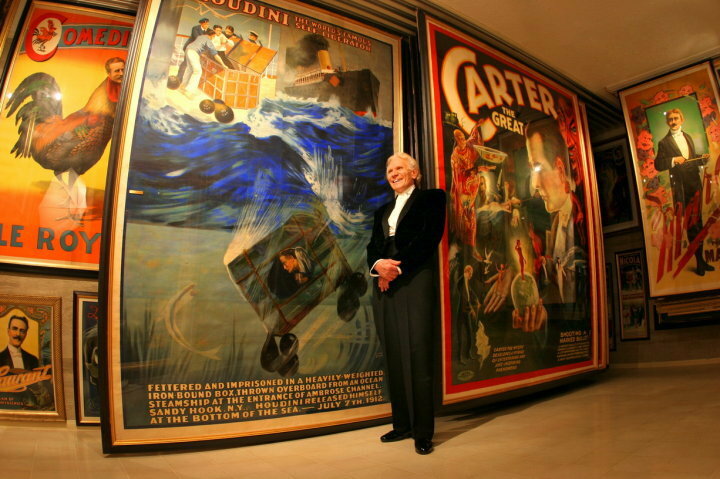 Among the many Houdini posters in the Nielsen collection is what I believe might be the only surviving poster for his Overboard Box Escape (below). ITV presents the premiere of Houdini & Doyle, on Monday the 29th of February, exclusively at Everyman, followed by a satellite Q&A with the cast. 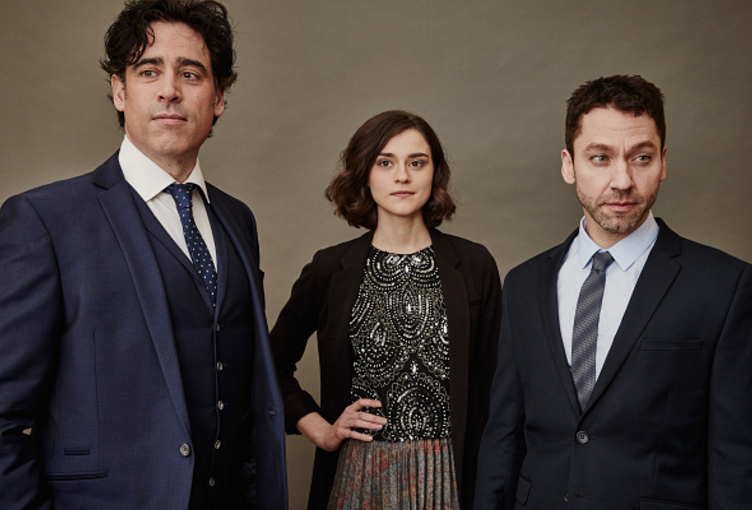 Stephen Mangan stars as Sherlock Holmes' author Arthur Conan Doyle in this new ten-part drama, alongside Michael Weston, who will play escape artist Harry Houdini. 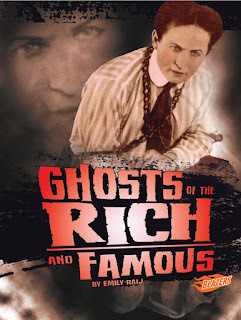 Houdini and Doyle will explore the friendship between Doyle - an ardent believer in the paranormal - and Houdini, who, as a professional magician, is sceptical about anything that appears to be supernatural. 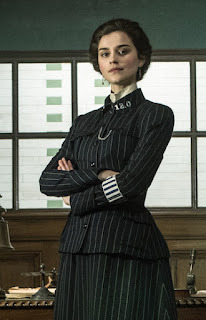 The series is set within the rich history of the early 20th century, when the Metropolitan Police were overwhelmed by bizarre and often inexplicable cases. 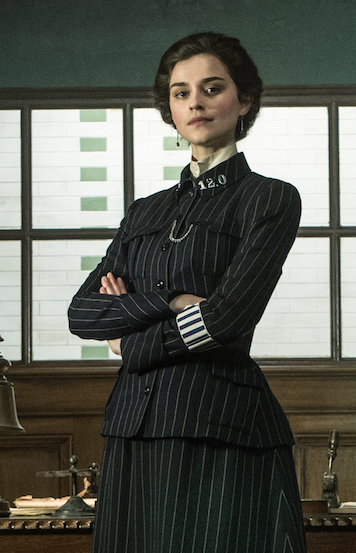 In uncertain times, New Scotland Yard turned to Doyle and Houdini for help. This event will be followed by a satellite Q&A with actors Stephen Mangan and Adam Nagatis and producer Adrian Sturges. Tickets can be purchased for £7.00 via Eventbrite. There are also complimentary tickets available for live satellite venues. A full list of links can be found at Everyman Cinema. Houdini & Doyle will air in the UK on ITV Encore in March. It will also air Mondays, 9:00-10:00 PM ET/PT on FOX in the U.S., and on Global TV in Canada. Thanks to Flynn Fan @FlynnFan1. UPDATE: Houdini & Doyle premieres in London.